We at Amick Farms and 3D Corporate Solutions want to thank everyone who came out to the meeting at Saluda High to hear about our proposed facility. There were a lot of good comments and questions. I hope the information we provided helped everyone to better understand our need for this new pet food protein facility and our commitment to doing it the right way. I also am writing to relay some of the information about SC Pet Food Solutions to those of you who weren’t able to attend the meeting. I’m writing not only as the CEO of Amick Farms, but as a long-time resident of this community. People have asked me why we need to build this new plant. It’s simple: Amick Farms has to grow and invest to stay competitive in the poultry industry and healthy in Saluda County. That is why we’re partnering with 3D Corporate Solutions to enter the super-premium pet food proteins market; because there is more value in using our chicken co-products for pet food than for other animal feed. This is the reason we will invest more than $60 million into this new modern facility and create nearly 100 local jobs. We plan to recruit from places like the technical schools as well as local residents, and provide job training for our employees. We care about Saluda County, our neighbors, and the 200 local independent growers, 2200 employees and customers who depend upon us. We are listening to your questions and concerns, and we are working to answer each of them to the best of our ability. For example, we’re investing in the best technology available to prevent odors. We’re going to great lengths to make sure our treated water is sprayed well below the allowable limit of ¾ of an inch per week and typically spraying only \‡of an inch per week onto our hay crops. This is the same type of method used at Amick Farms. We are working with the county water authority to have a water line run to our plant site, which will provide half or more of our water. This means we will NOT dry up your wells, and neighbors will have the choice of connecting to the public water line, or they can continue to use their well water. 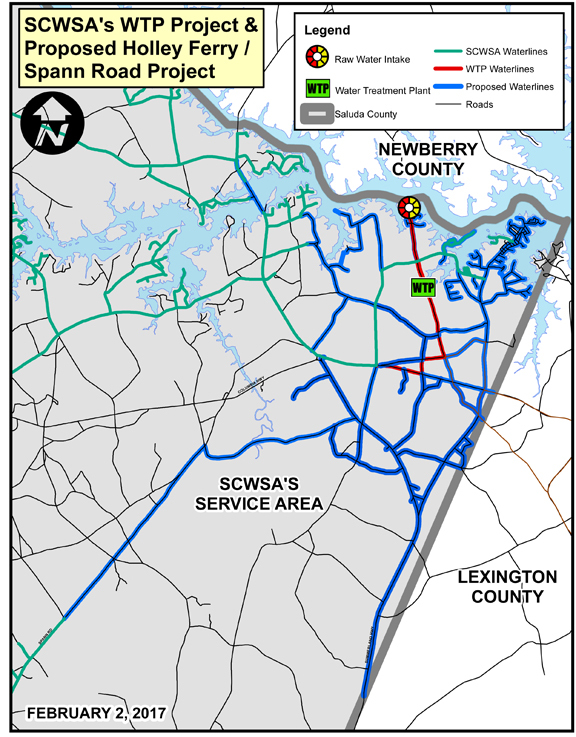 In addition to the new jobs, the purchase of local goods and services, and the planned road improvements, SC Pet Food Solutions, once fully operational, will pay well over six figures per year in taxes and/or fees. Additionally, the community will benefit from an extended water line to the area and new access to internet service. Further, SC Pet Food Solutions will be a long-term corporate citizen who will invest in local schools and community groups. 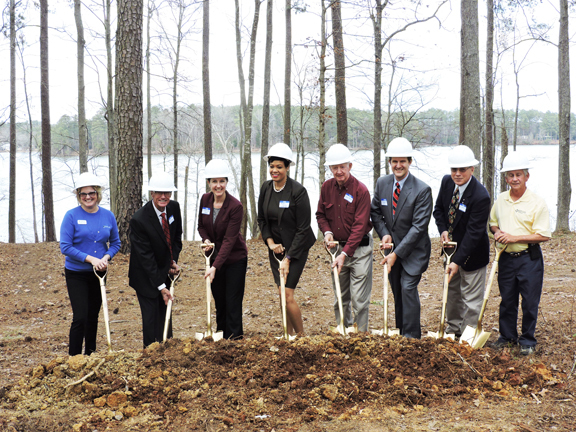 Most importantly, this new operation will allow Amick Farms to continue to be a viable business into the future, which is good for Saluda County and good for our employees, growers, and the many businesses that serve Amick Farms. Saluda is getting a new business that will add many jobs downtown. Council then proceeded to give third and final reading to an ordinance that will give CAB a place to operate. Under the terms of the ordinance Council will lease the building at 119 North Main Street (former Saluda Consignment Shop), purchased by the county on Jan. 10, to the Town of Saluda for ten years. The Town will have an option to purchase the building and will be responsible for the upkeep. Saluda will also reimburse the county for approximately $1800 in closing costs incurred by the county in purchasing the property. Council took care of 16 items on the agenda before going into Executive Session. A resolution recognizing retired Tax Assessor Josephine Young for her 28-years service to Saluda County was approved. First reading was given to an ordinance to execute a quit deed on the old Emory School. Saluda County attempted to deed the school to the Emory Community Club in 1979, but could not because the club was not incorporated. Emory School, Inc. is now a non-profit corporation, so a deed can be granted for a purchase price of $5.00. Council took as information a request from the Airport Commission to lower the lease rates on the T-Hangars at the airport. Commissioner Gerry Spragg said the commission felt by lowering the lease, they could attract renters for the four vacant hangers. If all the hangars are occupied, the airport will qualify for FAA funding. Spragg said the commissioners were confident the hangars could be rented at the lower rate, which will make the airport more competitive. County Emergency Management Director Josh Morton got two requests approved. One was for an update on a mutual aid agreement between all counties in the state for assistance in emergencies. The other request was to issue a Request for Proposal (RFP) for the development of an improved radio system. An RFP was also approved for the County Emergency Medical Services for pre-employment health screening. Training and Infectious Control Officer James Cole said the screening would find any pre-existing health issues before applicants for EMS and the fire departments are hired or added to the volunteer staffs. At the recommendation of Hancock and Councilman Frank Daniel, Council approved getting bids to replace the roofs at the County Annex and the County Agriculture Building. Councilman D.J. Miller asked if repair estimates could be included also in the bids, but withdrew his suggestion when he was told the roofs were beyond repair. Council voted to repair the Food Pass Doors at the Saluda County Detention Center. Councilwoman Gwen Shealy said she and Councilman Jones Butler had studied two options. One option would be replacing all the jail doors at a cost of $35,000. The other would be repairing the food pass doors for $8,000. Shealy and Butler recommended making the repairs..
Four grant requests by grants coordinator Jill Warren for EMS, EMD and the coroner were approved. None of the grants require any matching funds. The first grant from Homeland Security for Tactical Medical Training is for $5673. Cole said the grant is for training and equipment. EMS personnel will be trained to go in with SWAT squads in attempt to save more lives during mass shootings. Cole said it was estimated if EMS workers had gone in with SWAT members at Columbine or Sandy Oak, for instance, 30-40 percent of the lives of victims would have been saved. The second grant would provide a drone that could be used by EMD and law enforcement. The drone can be used in emergency situations when roads are impassable, and the Sheriff’s Department can use the drone to search for lost individuals or suspects in the run. Morton said the drone includes a camera worth $7000. He assured Councilwoman Shealy that the drone is programmed to return to its base, and will not fly away. Total coast for the drone is $20,000. Finally approved was a grant application for EMS from Firehouse Subs for three Lucas Chest Compression Systems for $54,000. The system provides mechanical chest compressions, and has a much higher success rate than manual CPR. The Accommodations Tax Funds which are designed to go toward tourism projects, were distributed as follows: Capital City Lake Murray Country - $2000; Friends of Ridge Spring - $1500; Palmetto Tractor Club - $1200; Richland Creek Antique Power Association - $1800; Ridge Spring Harvest Festival - $1500; Saluda County Historical Society - $1600; Saluda County Tourism Committee - $2900; Saluda Young Farmer & Agribusiness Assoc. - $2500. Butler’s nomination of Joan Hipp to be reappointed to the Library Board was approved. 1. To authorize a temporary part-time Library Aide position for 15-20 hours per week, at minimum wage, for the months of June and July to be paid from funds in the Library budget, to advertise according to county policy, and adopt the updated part-time Library Aide job description. 2. To authorize an Apprentice Appraiser position in the Tax Assessor’s office, Grade 18, to advertise according to county policy ,and adopt the updated Apprentice Appraiser job description. Charles Long was named the 2016 Saluda County Firefighter of the Year at the annual dinner hosted by the Saluda Fire Department on January 16, 2017. Charles retired from the Saluda Fire Department on September 30, 2016 with 32 years and 8 months of service. 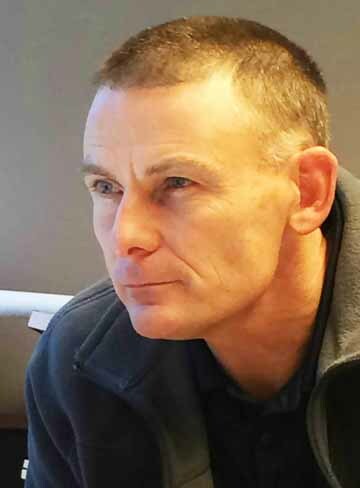 He has taken many hours of training in all areas of the fire service during his years on the Saluda Fire Department. He is in charge of all cooking for the annual Lindsey Bradshaw/Autumn Winn Scholarship Barbeque Fundraiser and will continue to do so. 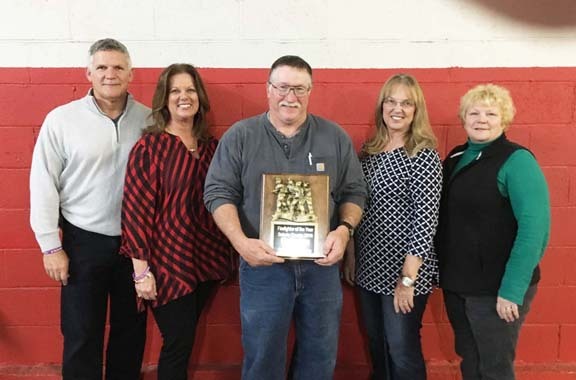 Charles is pictured being presented the award by the State Farm-Kelly White Agency Team. 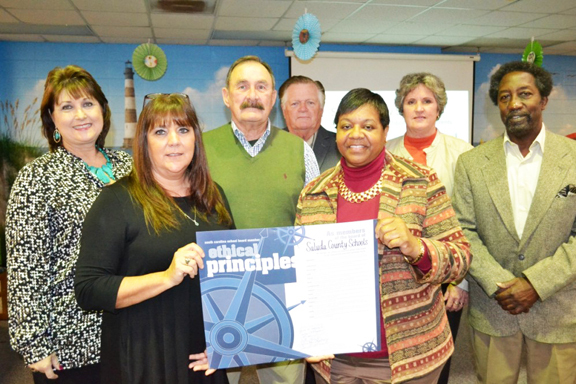 Pictured from left to right are: John White, Kelly White, Charles Long, Mitzi Durst and Sherri Ward. Congratulations Charles and thanks to all volunteer firefighters for their time and service. 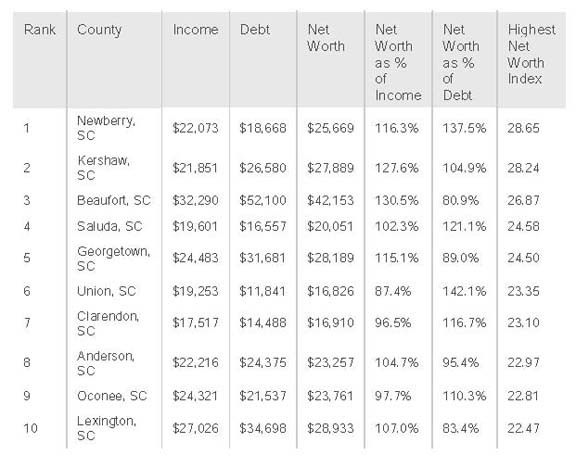 SmartAsset, a financial technology company, has released a study on the places with the highest per capita net wealth and Saluda County ranks among the top spots in South Carolina. The study analyzes income, net worth, and debt in counties across the country to determine which locations had the highest per capita net wealth relative to debt. Methodology The study aims to find the places in the United States with the highest net worth. To do this SmartAssets calculated the ratio of net worth to per capita income for every county. This number can serve as insight into how much people have saved or invested relative to their income level. If you haven’t visited the Saluda County Museum in a while, make plans to drop by. The Museum is open Monday through Friday from 10 a.m. to 4 p.m. and Saturday from 10 a.m. to 1 p.m. Currently, two exhibits are on display. One is the “Then and Now” exhibit, showing items and pictures from the past to the current times. The other is an automotive exhibit, featuring vintage oil cans and tags. Permanent displays include the African American exhibit, the diorama of the Alamo, and Indian artifacts. Also, there are items for sale such as pictures, T-shirts, books and postcards. Hope you will stop by and take a look!